In Syria, Chlorine Attacks Continue To Take A Toll : Parallels Activists say the Syrian regime continues to attack its people with chlorine gas — with little reaction from an international community once focused on preventing Syria's use of chemical weapons. Syrian medical student Hazem Halabi has become an expert on chlorine as a weapon of war. He made his first investigation in April 2014, after an alleged attack on the village of Kafr Zeta in northern Syria. Villagers reported waking up before dawn to the buzz of helicopters and an overpowering smell of bleach. A video recorded at a local clinic shows doctors struggling to treat panicked victims struggling for breath. Halabi — who is part of a team of doctors with the Syrian American Medical Society, a U.S.-based charity that runs more than 90 medical facilities on Syria's frontlines — arrived a few days later. Then he risked his life to carry evidence from the attack out of Syria. "When I was in Kafr Zeta, the helicopters flew over, I thought maybe it will target us," he says, "I brought out blood samples, urine samples and some soil from the location of the attacks and the remains of one of the canisters." He carried the samples to southern Turkey and tripled-wrapped his findings. He feared he would set off alarms at the airport, so he rented a car and drove for 12 hours to Ankara, the Turkish capital. He delivered those first samples more than a year ago to the American and British embassies, hoping to spur international action. "Ten samples each," he says. The United Nations Security Council voted in March to condemn the use of chlorine as a weapon in Syria. Members were reduced to tears by a video they were shown of the aftermath of an attack. In March of this year, members of the U.N. Security Council were reduced to tears over a video of an apparent chlorine gas attack in Syria. The footage showed desperate doctors trying to revive three young children as they choked to death in the Syrian village of Sarmeen. 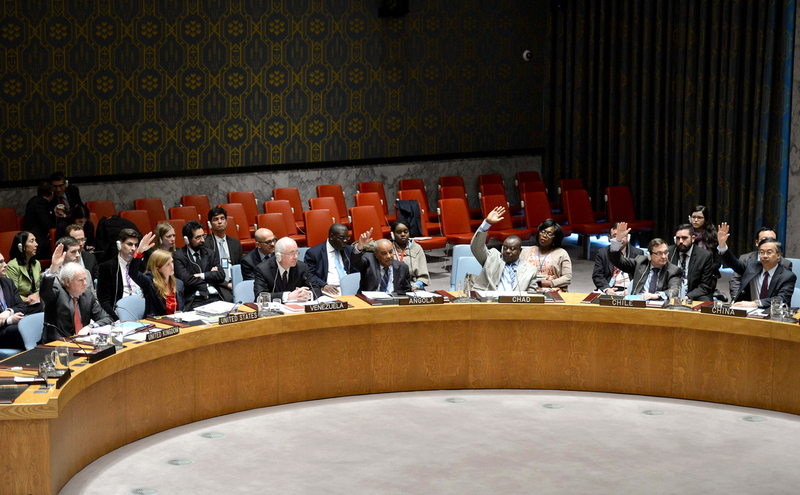 The Security Council quickly condemned the use of chlorine as a weapon and warned of repercussions. But activists say they have documented 18 cases of chlorine gas attacks in the rebel-held north since then. They have tried to generate international pressure to stop the attacks, which they say are carried out by government aircraft, two years after Syrian President Bashar al-Assad agreed to destroy his chemical arsenal and signed onto the Chemical Weapons Convention. Zaher al Saket, a Syrian brigadier general and a defector, says he's investigated more than 90 chlorine attacks – six new ones in the past few months alone. He was an officer in the Syrian army's chemical division but quit in 2013 when he was ordered to use chemical weapons against rebels. "I realized that this regime is only going to use more and more chemical weapons against civilians," he says, "and that's when I made my decision to defect." The Syrian regime denies using chlorine as a weapon, blaming terrorists for the attacks. But the evidence otherwise has steadily mounted since the U.S. and Russia worked together to pass a U.N. resolution to dismantle Syria's chemical arsenal, and Syria agreed in 2013 to destroy stockpiles. Chlorine was excluded because it has industrial uses, including purifying water. "There is no doubt that the Syrians are using industrial chemicals, chlorine in particular, in barrel bombs," says Rex Brynen, a Middle East specialist at McGill University. "I think that the open-source evidence is overwhelming." The Syrian-American doctors' network has compiled a detailed dossier on dozens of chlorine attacks since 2013 that it attributes to the Assad regime. Accounts by eyewitnesses say chlorine is dropped from helicopters. The regime is the only combatant that has an air force. And the targeted villages in northern Syria are pro-rebel. Mohammed Tennari — a doctor who has testified at the U.N. Security Council and on Capitol Hill — tells me when we meet at the doctors' network office in Gaziantep, Turkey, that the smell of a chlorine attack is unmistakable. 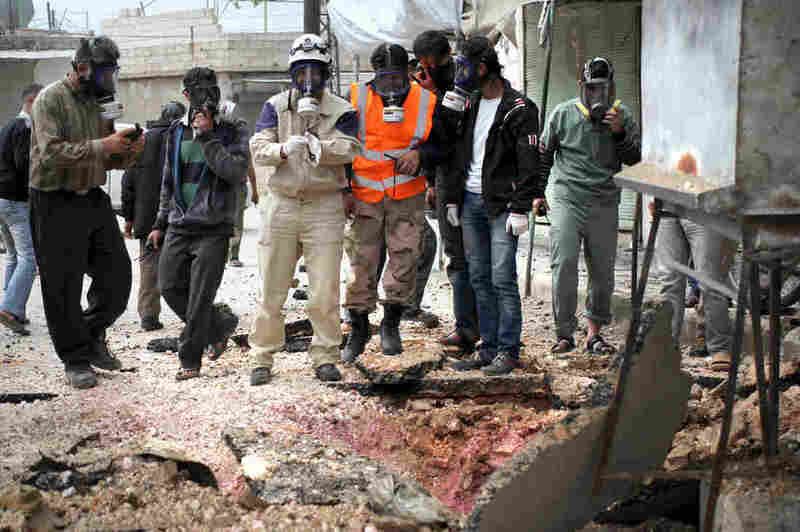 "The chemical gas spreads for a few kilometers — not like barrel bombs that hit one house," he says. "People are afraid about the life of their children and their [own] life." Eleven Syrians have died since March, Tennari says, from inhaling chlorine. And more than 600 have had to be treated in clinics overwhelmed by the patient load. "I think that I can say with some confidence, Western governments are absolutely convinced that the Syrians are doing this," Brynen says. But Russia, a veto-wielding member of the U.N. Security Council, has dismissed the available documentation as "propaganda." Human right groups have long complained that the architects of the 2013 deal to dismantle Syria's chemical arsenal, the U.S. and Russia, have done nothing to stop chlorine attacks. Now, the U.S. and Russia are consulting again. A proposed U.N. resolution would mandate an investigation to assign blame for using chlorine as a weapon and sanction the culprits. The Organization for the Proliferation of Chemical Weapons, which implements the Chemical Weapons Convention, can determine if chlorine was used as a weapon. But it has no mandate to assign blame. The challenge now is to figure out who can. It remains unclear whether the resolution will come to a vote. Meanwhile, Hazem Halabi, the medical student, wonders if anything will change. "I don't have the same belief [as in the past] that something will happen," he says. But, he says, "I still do it. You have all these documents for history so we can tell our children that this happened in Syria and nobody reacts."